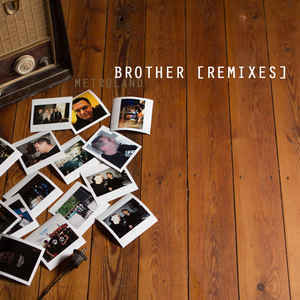 Background/Info: Next to the ‘regular’ EP of “Brother” Metroland also released another EP with extra remixes. It’s a concept the Belgian duo adores and already did on nearly all previous EP’s. For “Brothers Remixes” they asked some ‘mates’ next to bands that were chosen from an organized ‘remix contest’. Content: We first get a new mix called “Soul Mix”, which doesn’t exactly bring that much new although it remains a cool alternative version to the original one. We next get remixes from rather unknown bands like Cyborgdrive (Spain) and Electrofachbetrieb (Germany). The only familiar and established name is People Theatre that also accomplished one of the best –and vintage sounding remixes of “Brother”. + + + : There’s a cool diversity between the different remixes. The more minimal-like remix of Diem Redux and the pretty 80s sounding one by Electrofachbetrieb both are my favorite ones next to the one by People Theatre. – – – : This EP is clearly meant for the Metroland die-hard fans and lovers of remixes. Remixes can be cool, but they don’t really add an extra compared to the original version of “Brother”. Conclusion: Metroland is sometimes a bit abusing remixes and that’s a pity especially as they have the creative spirit and talent to compose their own songs like the exclusive one featured on the ‘regular’ EP of “Brother”. Best songs: “Brother – People Theatre’s Miserere Mix”. 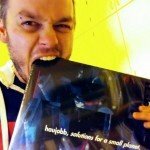 Artoffact store offers 35% off vinyl today Cyber Monday - here's your discount code !